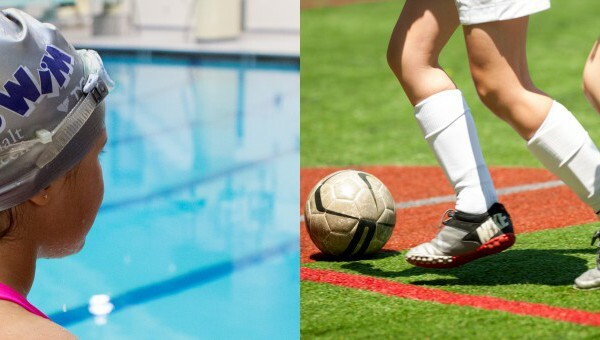 Celebrate the joy of swimming and soccer at Asphalt Green’s Big Swim Big Kick! After 20 years of The Big Swim, we added soccer in 2016 as we expand our celebration of sports. Big Swim Big Kick is a free event open to the public. Like The Big Swim, this event will take place each year in the spring. In 2018, Big Swim Big Kick welcomed hundreds of families and raised more than $845,000 to transform the lives of 50,000 New Yorkers through sports and fitness. Spring arrived just in time for Big Swim Big Kick, Asphalt Green’s largest event of the year. University of Florida Women’s Head Soccer Coach Becky Burleigh will be at Big Swim Big Kick on April 28. Five-time Olympic gold medalist Dana Vollmer will be at Big Swim Big Kick on April 28.